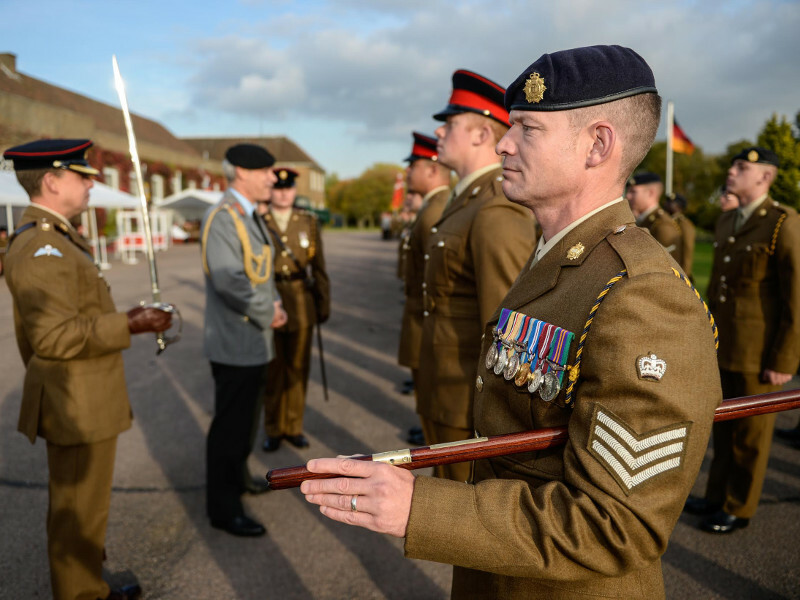 7 Regiment RLC has been awarded the prestigious German honour of the Fahnenband in recognition of its 52 years distinguished service in Germany. The Fahnenband is the name given to the ribbon of honour, fixed as a decoration to the Truppenfahne or Colours. Made of silk in the German national colours, it is the highest honour that can be bestowed on an allied unit by the Federal MOD and carries the inscription â€˜In the service of peace and freedom’. 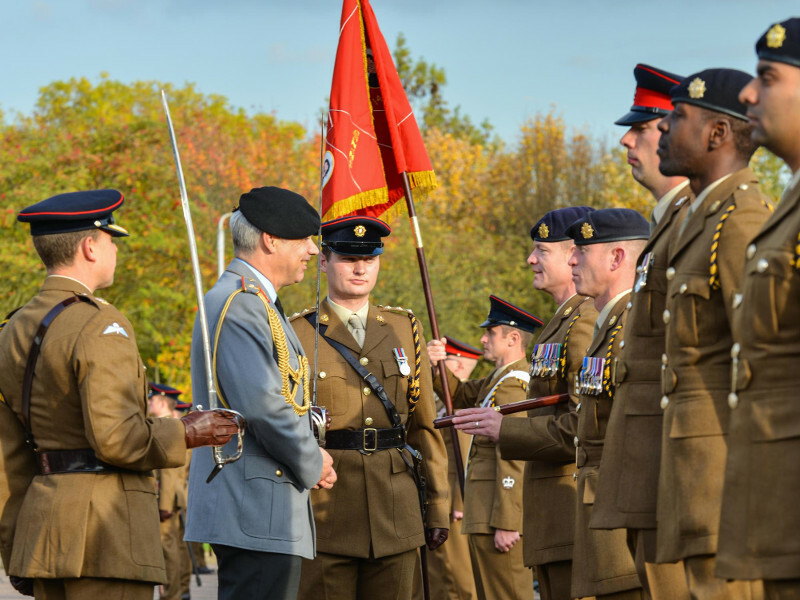 It was presented to the Regiment by German Defence AttachÃ©, Brigadier General Martin Hein, at a parade held at Kendrew Barracks, Cottesmore. The Regiment was formed in Sennelager, Germany in 1961 and moved to Bielefeld in 1993 where it remained until it relocated to Kendrew Barracks, Cottesmore, in 2013. Brigadier General Hein fixed the ribbons to the Regiment’s Standard. Addressing the soldiers on parade he said: â€œOur ceremony today is a tribute to the great service you have rendered over decades to the Federal Republic of Germany. â€œFor me as German Defence AttachÃ©, this is a special and very important opportunity to thank you and your families for your dedication. 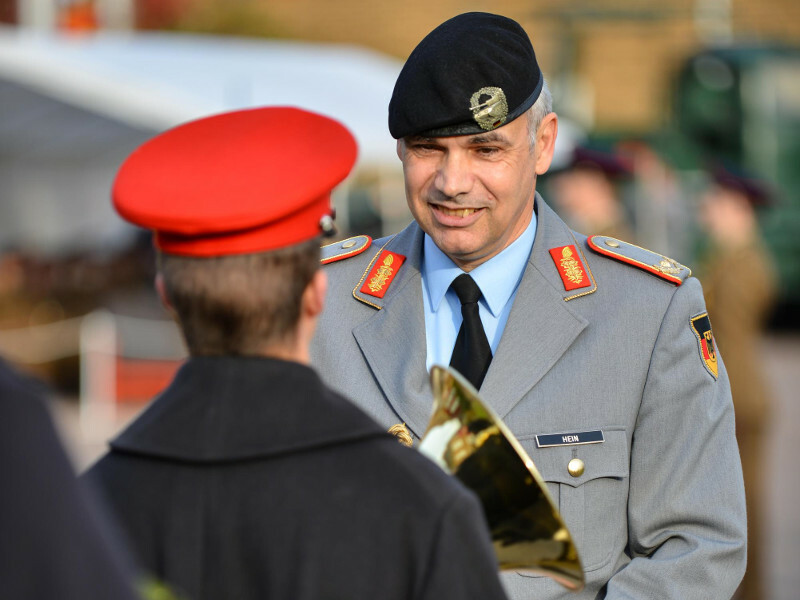 He continued: â€œAs a mark of special respect and deep gratitude, it is my great pleasure to present to you the Fahnenband â€“ the Ribbon of Honour â€“ here at your new base. 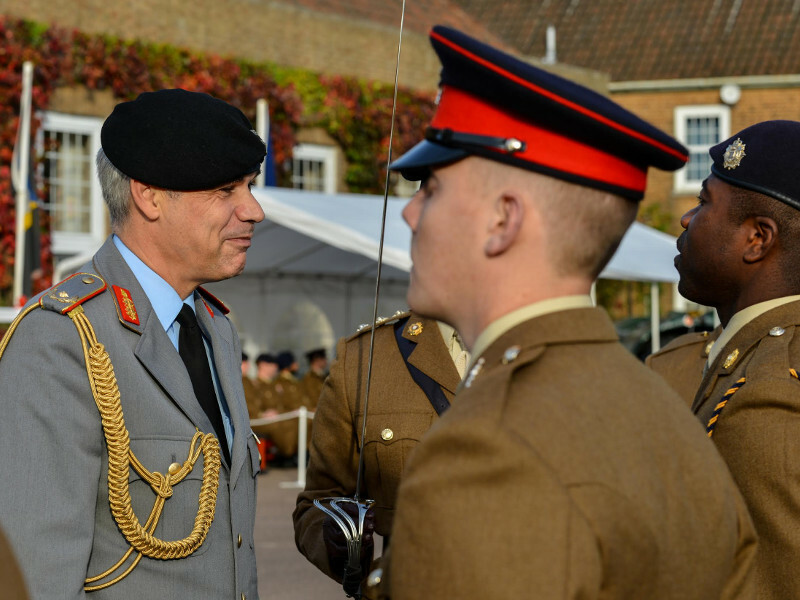 7 Regiment RLC forms part of Grantham based 102 Logistic Brigade and is made up of RLC supply specialists, drivers, chefs, REME vehicle mechanics, artificers and clerks. The Regiment has gone through many changes in its history, including its name. It has been known as 7 Transport Regiment, 7 Tank Transporter Regiment and 7 Transport Column. around the country. It was also heavily involved in military operations including Iraq and Afghanistan. During that time the soldiers and their families were well supported by the people of Bielefeld. 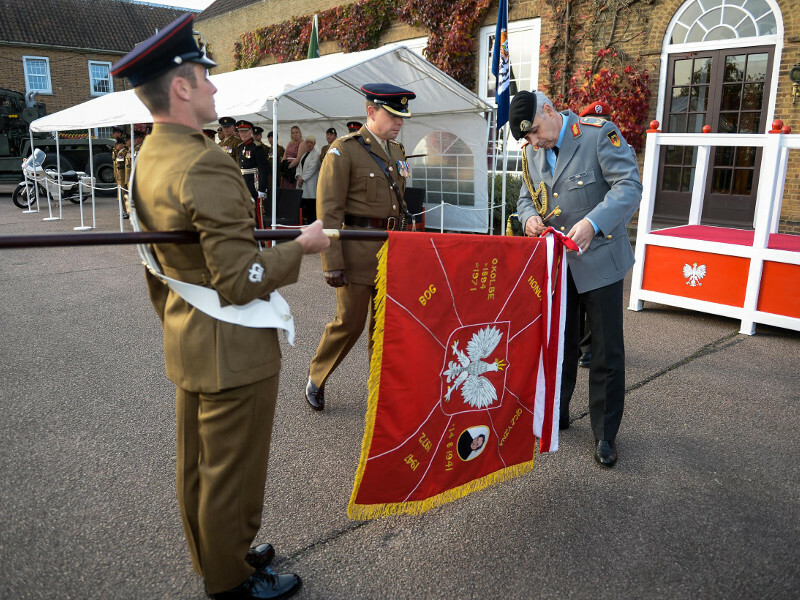 In 2012 it was re-designated as a Theatre Logistic Regiment and was re-rolled as a Force Logistic Regiment in November 2013. 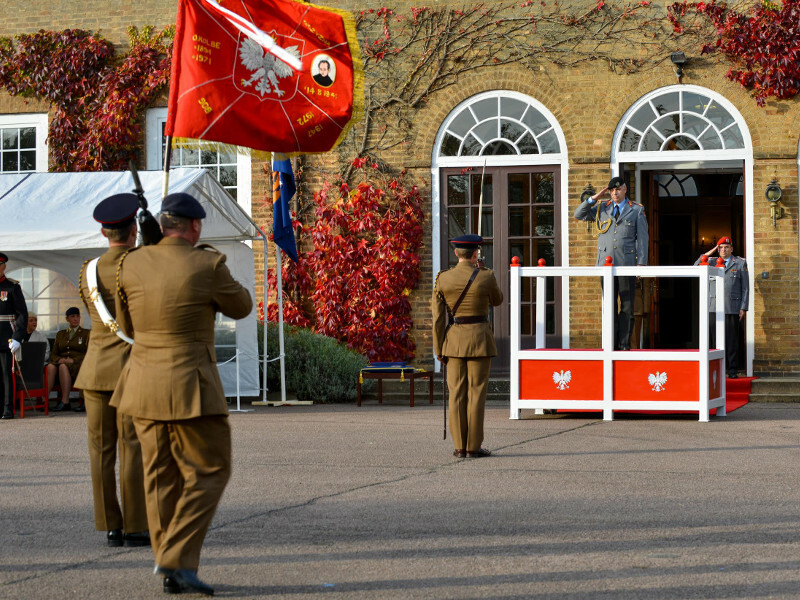 Following the parade the German Defence AttachÃ© attended a reception in the Officers’ Mess where he had the opportunity to speak to soldiers and their families. He also presented Captain Andy Dunwell with his Op GRITROCK medal. Op GRITROCK saw the British Army provide medical, planning and engineering capabilities to the Sierra Leonean Government; building and running Ebola treatment centres and training their healthcare workers, police and civilians. Captain Dunwell deployed to Sierra Leone in May for three months. His role of Force Quartermaster saw him manage the real life support that the force needed to carry out their work including accommodation, food, water and medical supplies.